If you're after a CPU upgrade or building a new system and don't want to spend more than £200 on the CPU, then your options have been fairly limited if you also want to dabble in serious overclocking. Intel K-series CPUs have been with us for a while now and like the Core i5-2500K and Core i5-3570K before it, Intel's new Haswell-based Core i5-4670K represents its mid-range overclockable CPU. 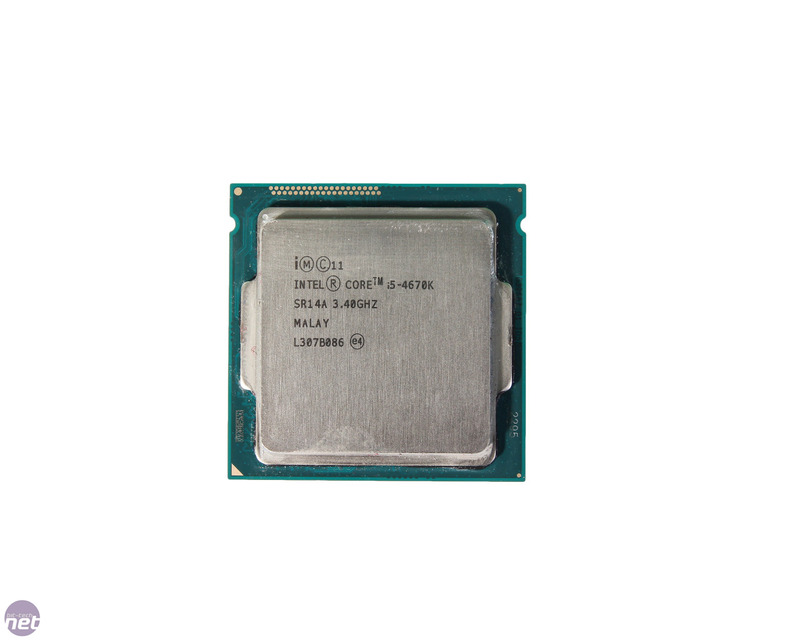 It's likely to be the most popular choice between it and the more expensive Core i7-4770K, which offers slightly more Level 3 cache and hyper-threading support. 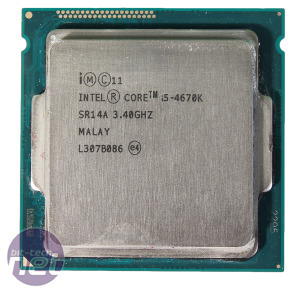 At just under £200, the Core i5-4670K costs about £20 more at launch than its Ivy Bridge predecessor that we reviewed 13 months ago, although this price is likely to drop a bit in coming weeks. 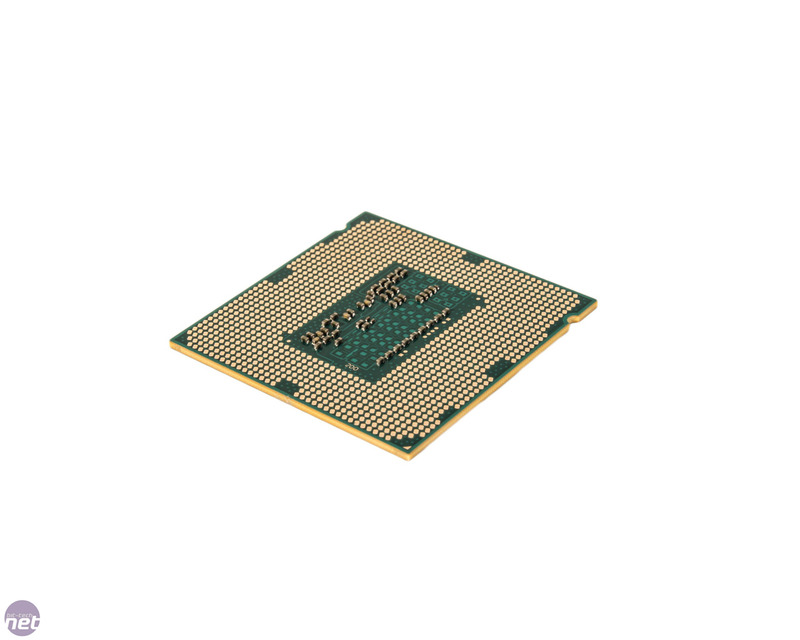 It currently sits in a family of several other Core i5-4600-series CPUs, which range from the 45W TDP Core i5-4670T to the Core i5-4670, which is essentially a cheaper multiplier-locked version of this chip, which might be of interest if you have no intention of overclocking your CPU. We also expect a Core i5-4670R to be available soon too, which will sport Intel's Iris graphics and eDRAM on-chip graphics memory. Non 'R' edition CPUs are equipped with Intel HD 4600 graphics, which have seen a 25 per cent boost in the number of execution units from 16 to 20 and a GPU core speed hike to 1,200MHz for the Core i5-4600-series CPUs. The cache levels haven't changed much from Ivy Bridge, with the Core i5-4670K still sporting 6MB L3 cache, although as you can read about in our main Haswell article and Core i7-4770K review, Intel has doubled the L1 and L3 cache bandwidths over the previous generation of CPUs. The Core i5-4670K also sports the same nominal and turbo-boosted frequencies as the Core i5-3570K (3.4GHz and 3.8GHz respectively). Being a K-series CPU its multiplier is unlocked, and you're also able to throw in the new baseclock tuning ratios into the mix too, which sadly aren't supported on Intel's non K-series CPUs. The straps included are 1.00, 1.25 and 1.67, with higher straps available on some motherboards. The system works thusly: The 1.25 strap will allow you to use a 125MHz baseclock, with the rest of your system, except for the CPU, seeing this as 100Mhz thanks to the strap. The CPU multiplier will still apply the higher baseclock of 125MHz, meaning a multiplier of x40 will give you a clock speed of 5GHz. Try applying a 125MHz clock speed in an LGA1155 system and you'll be met with all sorts of grief.